Consumption of whole eggs after a workout is more effective in protein synthesis over eating egg whites only. The recent discovery suggests that throwing away the yolks and consuming only the whites which contain the most proteins for maximum muscle gain is inefficient. Egg yolks are also laden with proteins necessary to promote good muscle growth. The study, published in the American Journal of Clinical Nutrition, demonstrated that consuming proteins in its ‘natural matrix’ is more beneficial for muscle building than eating segregated parts from the same source. Researchers at the University of Illinois Urbana-Champaign developed eggs that they could monitor for food-derived amino acids after they were eaten. In the study, 10 young men undertook a round of resistance exercise after which they ate either whole eggs or egg whites that contained 18 grams of protein. The participants were later given ‘stable-isotope-labeled leucine and phenylalanine’, important amino acids that allowed scientists to measure their levels accurately in the muscles and blood. How their muscles built proteins after consuming whole eggs or egg whites differed significantly. Protein synthesis after a workout was 40% higher among those who ate whole eggs compared to the men who consumed egg whites. The yolks not only contain proteins but also other nutrients that are not present in egg whites. Whole eggs had something that egg whites didn’t that helped boost the body’s ability to use proteins in the muscles according to Professor Burd, the leader of the study. Proteins are the building blocks of your body and are important for building and sustaining muscle mass. How much proteins you need depends on your muscle growth goals. Overall, higher amounts of proteins are needed for proper health along with other nutrients. The Protein Summit says that higher protein intake assists in sustaining muscle strength and promotes weight loss contributing to a lean physique. Studies also suggest that protein supplements enhance muscle hypertrophy and increase gains in aerobic & anaerobic power. Creatine monohydrate, beta-alanine and caffeine supplements appear to benefit those who are training in preparation for a show or competition according to a study by Helms et al. 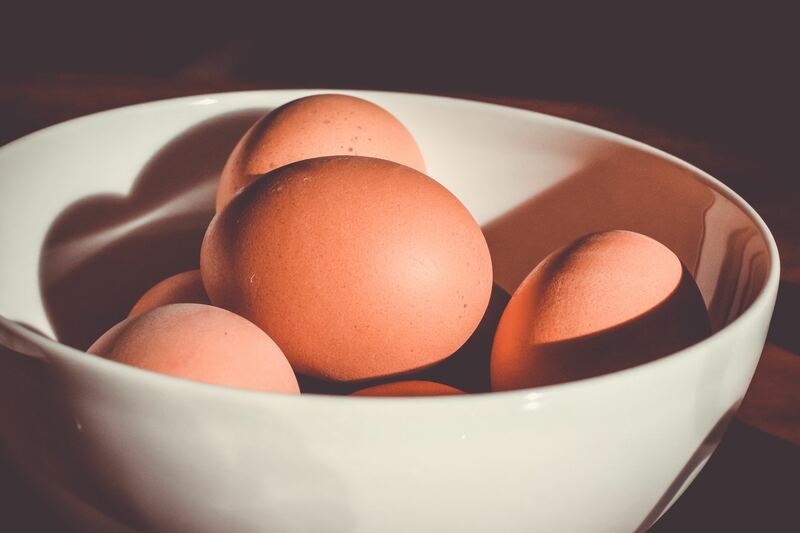 The study demonstrated that eating whole eggs over egg whites is better at muscle building and repair. It also suggests that consumption of whole eggs and not just egg whites is an effective and efficient method of gaining bulk as protein synthesis take places at a higher rate.